If your team is still doing proverbial mental push-ups to control credit – chances are they are working up an unnecessary sweat. The tools and technologies connected with Accounts Receivables Management are powered by our unique software – and while a Business Process Outsourcing (BPO) team needs to be skilled in the intricate art of customer relationships and interaction – the process itself needs to be tech-driven, streamlined and professional in any high volume environment. Receivables Management in 2018 is measured, automated, analysed and dynamically managed. “We find that Finance Directors, CFO’s and executives who oversee credit management with a strategic eye are increasingly looking at best practice solutions for ever present credit control issues,” says Russell Milella, Head of Nimble’s BPO. 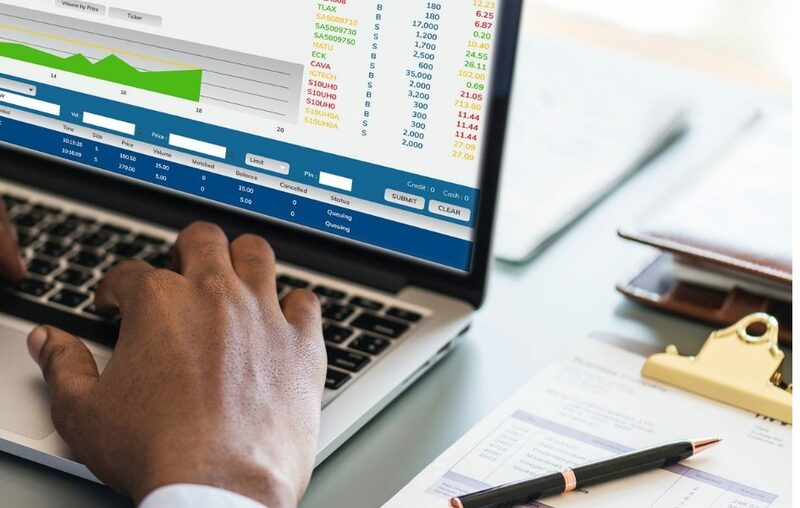 Organisational leaders want a handle on how credit controllers are talking to their customers; confidence that credit policies, terms and conditions are being consistently applied, and assurance that the credit team is working on the receivables accounts that are strategically most important to their businesses. “CFO’s are routinely faced with a lack of tools. Typically they only have traditional accounting systems to manage their receivables. The classic trap is that accounting systems only record the history and do little to help plan the future workflows or manage the staff involved in the process. When one’s dealing in a high volume environment, adding more people to an underperforming debtors book usually only compounds the problem ” says Milella. As a BPO provider, Nimble has tailored its outsourced service to suit its clients. “Outsourced doesn’t necessarily mean moving your credit control department out – we understand that some financial managers prefer to keep Receivables Management in-house and for this reason our Nimble Outsourced resources will work on-site as part of the company team,” Miella explains. “We also have our own professional Johannesburg-based operations centre where a dedicated team represents your business as if they were one of your own. We can act as a non-disclosed third-party solution – and due to the voice analytics and software that records and analyses every conversation – our BPO staff are highly trained to represent and respect your brand. The software captures 100% reality – there is never any mystery about what happened on a call and no leeway for misrepresentation. Do you are still wonder if there’s a chance that your credit controllers could be working with the more comfortable customers rather than the more “difficult” customers? Or that the sales team influence results in some accounts being allowed more latitude than others? If there’s a chance that preferential treatment for some of your customers has crept in or that queries and disputes are not being resolved optimally – then there’s no need to lose any more sleep over it. The answer lies in tools and technologies to tackle these issues and to solve these challenges! The bottom line is that your book is the bottom line! Once the accounting system has created a sales order and invoice; accounts receivable software takes over – automatically sending to customers soon after they’ve been created. The saving chain: paper, toner, envelopes, postage, and lost time. Once the monthly call cycle starts, Receivables Management software is able to direct, through work flow management tools, which accounts require priority calling and which accounts can wait until later in the cycle. Instead of controllers choosing which accounts they are comfortable working with, the system will “push” the accounts to be worked on. Having touched these accounts, the system automates follow ups and reminders using automated emails and SMS’. Recording calls should be standard with current Receivables Management software; and is particularly important to ensure full compliance with the businesses policies and procedures. Computer based quality assurance techniques give us 100% coverage of all customer engagements. The days of random sampling are well behind us. A new development brings enhancements to the recordings. This allows for pre-emptive interrogation of calls to ensure that the correct “phrases” and words are being used to maintain the right relationship with clients, as well as to ensure that the correct process and work flows are being applied. Information sourced from credit bureaus is helpful for new customers, and to monitor existing customer relationships. It is used to create customised credit scoring formulas; to segment customers by risk level; and to set up alerts such as excessive broken promises, disputes, or clients taking longer to pay their bills. Bespoke systems allow us to injest and use multiple sources of data.